Living on the coast as I do, one of my favourite places is down by the water. Whether it’s a beach on the wild west coast of our island, or a park bench by the city’s busy Inner Harbour, I love to spend time just watching the water shift and sparkle in the light. Its many moods fascinate me: from the wild and windy storm season out by Tofino to a glassy, calm summers day. I love to be on the water in a boat or kayak, or even in the water, now that I have discovered wetsuits (our water is very cold — and I don’t do this very often, because I have to rent one, not having one of my own yet). Much as I love the water, what really holds my interest when I’m at the shore is the abundant life in the intertidal zone — the area between the highest tide and the lowest. The richness, diversity, and resilience of creatures and plant life in our tidepools and rocky shores are astounding. Many of the most interesting critters are so small or so hidden that you have to look closely for them; a casual beach walker might see only a bunch of rocks or sand, but it is teeming with life. Even the “sand fleas” are really interesting if you get down and really look at them! 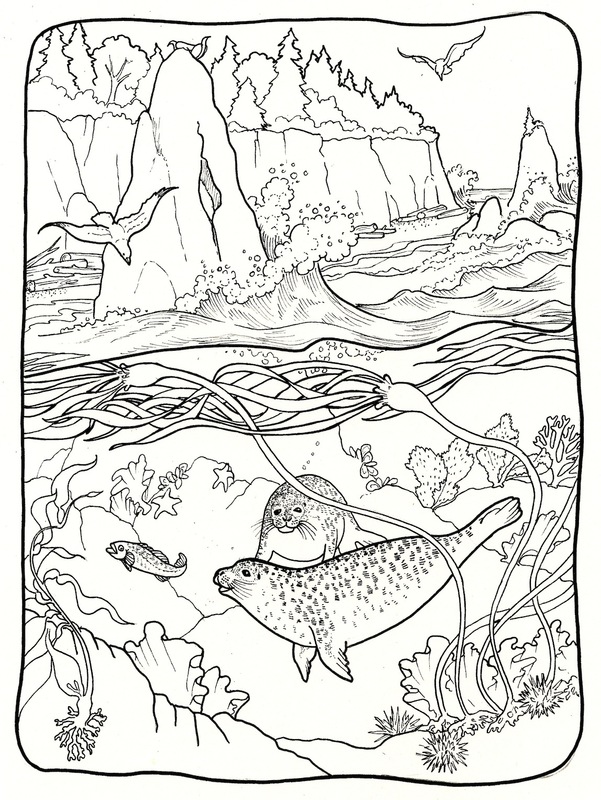 A few years ago I had the opportunity to illustrate an educational colouring book by Gloria Snively, a writer and Professor in the Faculty of Education at the University of Victoria teaching science, environmental and marine education, as well as graduate level research courses. She had also written my very favourite guidebook to take to the seashore, Exploring the Seashore — so naturally I was thrilled to get to work with her! 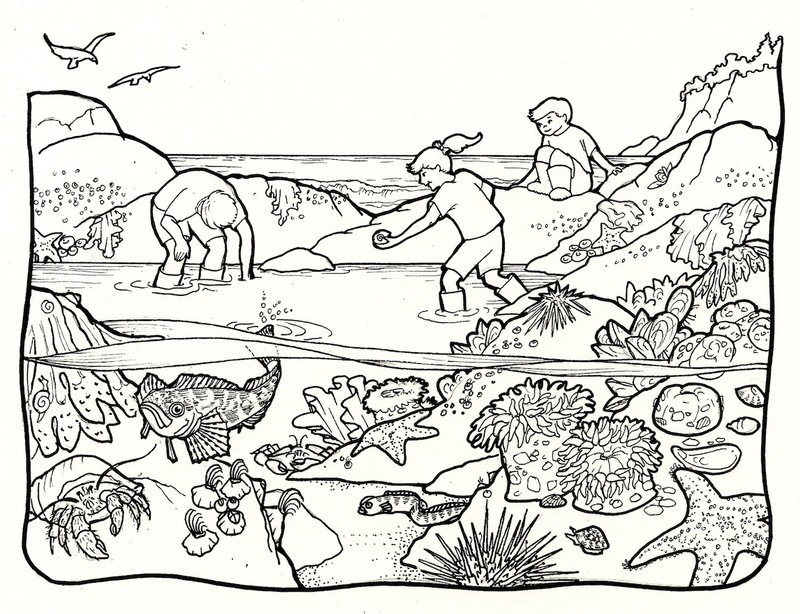 The colouring book I illustrated for her, High Tide, Low Tide, is designed to teach children about the creatures of the tidepools, and how they adapt to the differing conditions of the tides. I had a fantastic time learning more about my little buddies, and it gave me a great excuse to go to the beach as often as possible (research!) and buy lots of books (more research!). 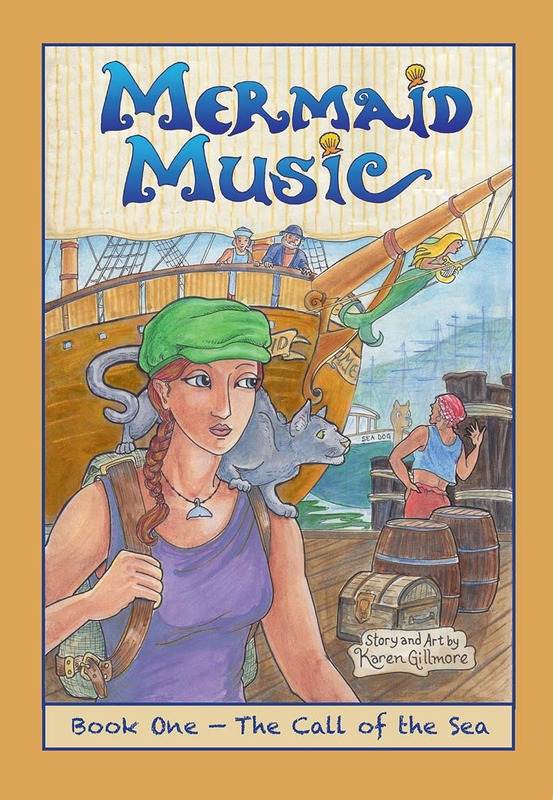 We’ve since worked on another book together, a storybook, which is not yet in print. Here’s a few of the illustrations from the colouring book. 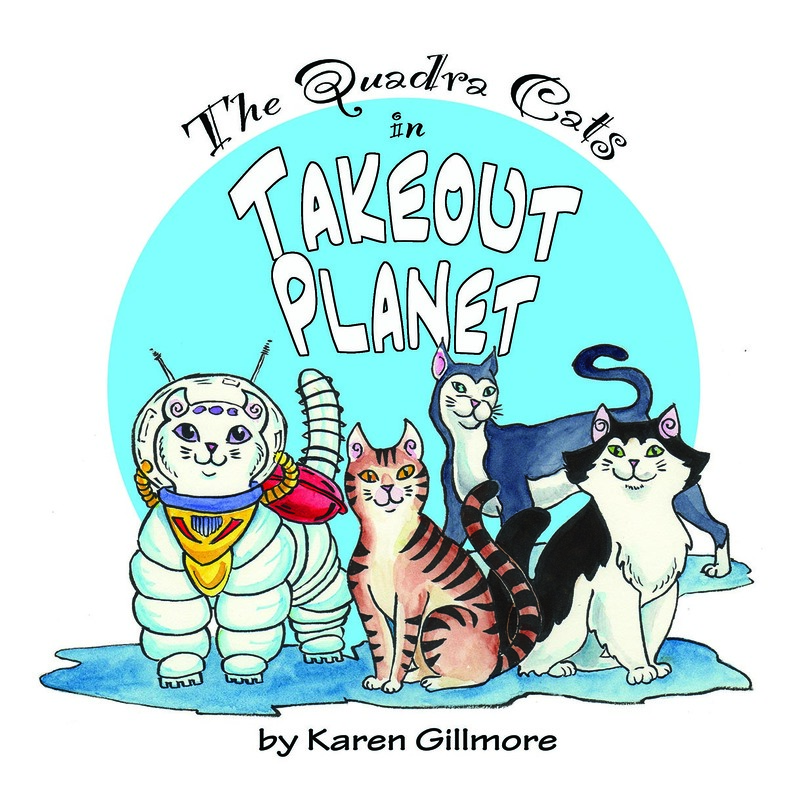 If you’d like a copy of your own (get one for the kids and one for you — I can see you eyeing your coloured pencils speculatively), you can go to the link above and order one! … And no, I haven’t actually coloured these myself yet — perhaps in a future blog post. 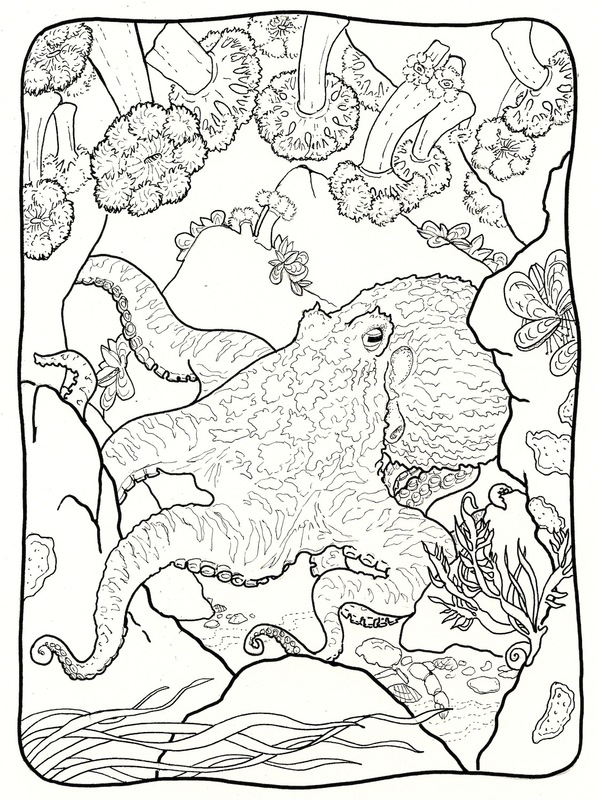 Two of my favourite sea critters to draw — the Giant Pacific Octopus and Plumose Sea Anemones, which look like circular, white, feather boas. Always be careful where you step — it’s somebody’s home! I loved doing this over-under picture showing some of the offshore sea life. And I love drawing seals. And rocks. Very cool! These would be fun to color, my inner child states… 😉 I also like the under/over water scenes. I followed that idea once in my old pool house. The walls were under water and the ceiling was the sky. I had fun doing it. I have lots of adult friends who like to colour — some of them have bought the colouring book with no intention of letting the kids anywhere near it! Sounds like a very cool idea for a pool house interior! I would like to have seen that! Great theme for artwork – and pretty much inexhaustible! Love the colouring pages. I always enjoy sea otters, that is, I’ve only seen them on tv. You’re right, it’s well nigh infinite. I’m trying to work out how to do a comic about tidepools — it would probably have to be educational, though it would also have to have some adventure in it. I’ve seen sea otters a couple of times in zoo/aquariums, where I always feel sorry for them — though they don’t seem to let the confined space interfere with their endless instinct for play. The otters we see here on the south coast of Vancouver Island are river otters, though they are also at home in salt water. The sea otters were wiped out by the fur trade, but I hear they are making a comeback on the north end of the island. I’m glad you are enjoying my work!